She has now been provided with a state lawyer. 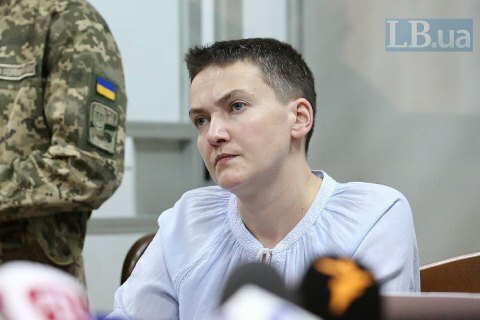 MP Nadiya Savchenko, who is suspected of plotting a terrorist act, has waived her right to counsel, saying she cannot afford private lawyers' services, and requested a state lawyer working pro bono. "I am not oligarch and have not become one as a member of parliament. I come from a non-wealthy family. I cannot afford paid lawyers' services because I do not want my family to run into debts. I'm stopping cooperation with my lawyers and would like to ask you to give me a pro bono lawyer," she said in Kyiv's Shevchenkivskyy district court, according to UNN. The court granted her request and appointed lawyer Yuliya Tkach to help Savchenko pro bono. She requested time to study the case files and the court deferred the meeting until 10 a.m. on 15 May. Savchenko was placed into custody on 23 March until 20 May. MP Serhiy Melnychuk said he was prepared to vouch for her release on his recognizance. Previously, two lawyers cut their deal with Savchenko over difference with her sister Vira.